Kim Woo-Choong (center) surrounded by local journalists at Incheon International Airport upon his arrival from exhile. 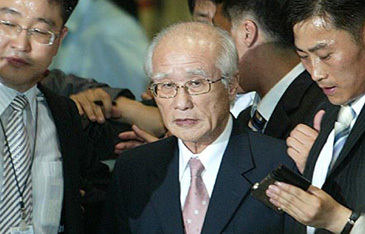 SEOUL, July 5, 2005 — As Kim Woo Choong awaits trial in one of history's biggest corporate scandals, prosecutors face a nagging question. Should they make an example of Mr. Kim, whose Daewoo group collapsed under debts of $80 billion six years ago, or ask for leniency? "It's almost certain he'll be sentenced severely," says Lee Ji Soo, a lawyer involved in securities cases here, "but he's trying to get exoneration, making the excuse he's very ill." In the end, Mr. Lee predicts, Kim, who is suffering from poor health, "won't have to go to jail." Before Kim is released, however, he will have to face charges amounting to $70 billion in accounting fraud, diversion of funds, and bribery. Although indicted Friday, he was arrested three weeks ago upon returning to Korea from six years overseas. He fled as his corporate dream shattered in a nightmare of debts after the Korean economic crisis in 1997 and 1998. But the greater significance of Kim's case - the dimensions of which are greater than the scandals at Enron and WorldCom - will be the degree to which it puts the spotlight on reforming South Korean conglomerates, known as chaebol. Despite backsliding, many analysts say the chaebol, family-dominated groups that evolved from the rubble of the Korean War and directly or indirectly control most major industries, have vastly raised standards since the dark days of the economic crisis. At that time, almost all of them were weighed down by debts totaling at least five or six times their equity. But as prosecutors ask Kim about political payoffs, the case will certainly raise troubling questions about the degree to which the chaebol have changed since the economic crisis that forced the government to appeal to the International Monetary Fund for bailout loans of nearly $60 billion. "Corporate governance reform has retreated for the past five years," says Kim Sang Jo, executive director of People's Solidarity for Participatory Democracy, which targets corruption and mismanagement at the top levels of the chaebol. Mr. Kim sees the trend as "getting worse and worse" as the biggest chaebol challenge "the power of the government," gradually weakening, according to him, any resolve to insist on more far-reaching reform. The problem of backsliding reflects the pervasive influence of the chaebol. By the time of the economic crisis, the heavily leveraged chaebol accounted for well over half the nation's gross domestic product of more than $500 billion a year. In the throes of turmoil in 1997, a dozen smaller chaebol disintegrated. Daewoo, then the fourth largest chaebol, initially viewed as "too big to fail," survived by issuing ever more short-term bonds in pursuit of quick credit. 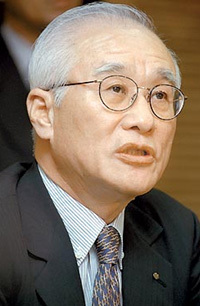 Kim Dae Jung, then president of South Korea, was committed by the IMF agreement - and the reality of the eroding economy - to force the chaebol into reforms that many of their bosses were reluctant to consider. "There has been a lot of structural change," says Jang Ha Sung, a Korea University professor who has campaigned for chaebol reform and is now on leave as a consultant at the World Bank in Washington. "They are no longer expanding business without productivity." Mr. Jang cites Samsung, the largest chaebol with assets of $108 billion, as representing the extremes of excessive investment - and successful restructuring. 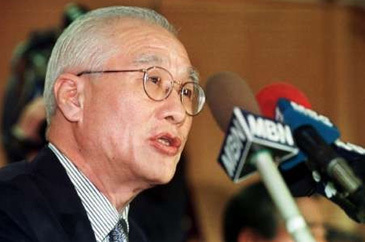 Samsung Chairman Lee Kun Hee insisted on opening a motor vehicle plant, at a cost of $5 billion, in 1998 as the economy was mired in crisis, Jang observes. But then his flagship company, Samsung Electronics, "took quite drastic restructuring," he says. The Hyundai Group, the biggest chaebol before the crisis, split into several different groups led by sons or close relatives of Hyundai founder Chung Ju Yung, who divvied up his empire before dying in 2001. Hyundai Automotive, with assets of $57 billion, including Hyundai and Kia Motors, now ranks as the second largest behind Samsung. Jang blames Kim Woo Choong for plunging the Daewoo group into deeper difficulties in the midst of the economic crisis, issuing short-term bonds that deepened the debts and then covering up problems with accounting fraud. "If they took the right way in the midst of the crisis," he says, "they would have had a chance."